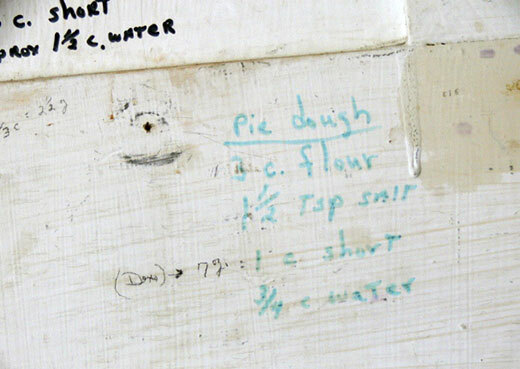 Jo Ott, a longtime reader, shared this photo of one of several recipes written on the inside of kitchen cabinet doors in an old northern York County farmhouse. You might consider using this basic recipe – 3 cups of flour, 1 1/2 tsp. salt, 1 cup of shortening and 3/4 cup of water – as a crust for Montgomery pie! Today’s attempts to sort through some of the mailed letters I’ve received turned up several that include some tasty-sounding recipes. Since writing this column is allowing me to postpone cooking dinner, I figured that was appropriate! 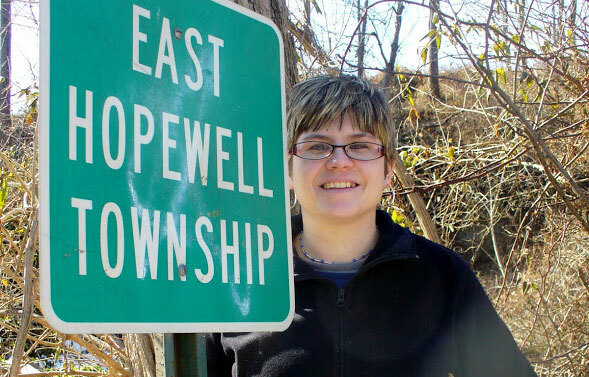 I hope you’ll enjoy these ideas about apple pan dowdy, Montgomery pie and another kind of pie memory. I last talked about both apple pan dowdy and Montgomery pie in August of last year. Recipes had been requested by readers for each of them, and we shared a few. Now I have even more! Place in a small baking dish 1 quart apples (peeled and sliced); set aside. In a saucepan, put 1 cup brown sugar, 1 cup water, 1/4 cup flour, 1/4 tsp. salt, 1 1/2 teaspoons vinegar. Heat until thick, stirring often. Take off heat; add 1 tablespoon butter, 1 teaspoon vanilla. Mix 1 cup flour, 1/2 teaspoon baking powder, 1/2 teaspoon salt; cut in 2 1/2 tablespoons shortening; add 3/4 cup milk and mix. Spoon on top of the apple mixture. Mix all these ingredients well. Pour into a pie shell. Cream the butter and sugar, then add the eggs. Next add the milk, then all dry ingredients, and mix well. Spoon this over the liquid ingredients and bake at 350 degrees for 35 to 40 minutes. Richard, who is 83, continued his story by noting that some years ago, his wife’s ability to function in the kitchen decreased, “so I now make them, two at a time, one to eat and one goes in the freezer for sometime later.” Richard, it makes me happy to hear you’re continuing the tradition! For the batter, cream together 1 cup sugar and 1/4 cup butter. Add 1 egg, 1/2 cup milk, 1 teaspoon baking powder and 1 1/4 cups flour; mix and set aside. For the under part, in a large measuring cup, mix together 1 1/4 cups King syrup, 1 1/4 cups sugar, 1 1/4 cups water, 1 egg, 2 1/2 tablespoons flour and 1 1/4 teaspoons vanilla. Pour evenly into two unbaked pie crusts; add spoonfuls of the batter at random on top. Bake at 350 degrees for 40 minutes. 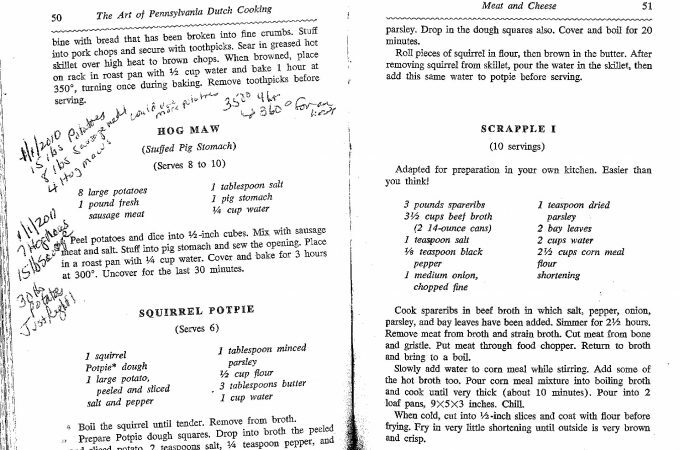 She included the recipe, which uses two unbaked 9-inch deep-dish pie shells as well as the following to make two pies. For the first mixture, with an electric mixer, beat together sugar, butter and eggs until creamy. Mix baking powder, salt and flour in small bowl. Add dry ingredients and milk gradually to sugar mixture; set aside. For the second mixture, mix sugar and flour together. Add the rest of the ingredients to the sugar and flour with an electric mixture. Pour the first mixture in the bottom of the pie shells, then pour the second mixture over top of the first. Bake at 425 degrees for 15 minutes, then at 350 degrees for 25 minutes. The batter on the bottom of the pie will rise to the top while baking. It’s not a recipe exactly, but I wanted to conclude today’s column with a nice note about pies of another sort. Deb, I wish I had a job like that! It sounds tasty!